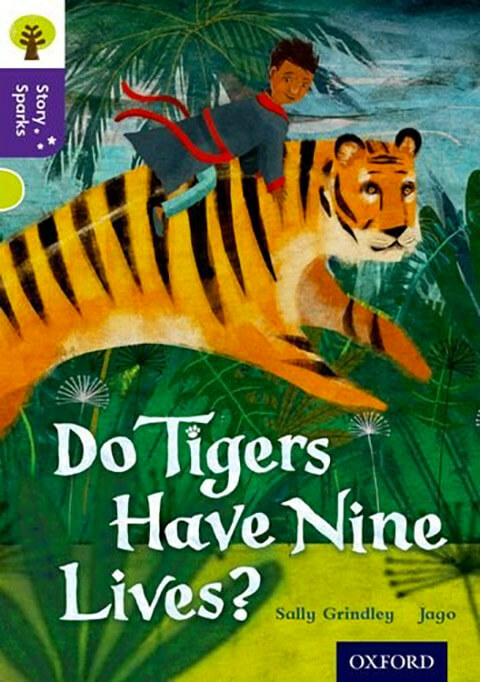 Do Tigers Have Nine Lives? Oxford Reading Tree Story Sparks is an emotionally engaging fiction series that will fire children’s imaginations… get children thinking, and develop and deepen their comprehension skills. I wrote this as a very lyrical picture book, but Oxford University Press, here and in Australasia, were keen to include it in their Reading Tree series, so it has rather changed its form. The story tells of how a young boy’s toy tiger turns into a real tiger in the middle of the night. The boy and his tiger leap out of a window and away over fields, rivers and mountains, to the beautiful jungle of the tiger’s homeland. But danger awaits them – will they make it back, or will the tiger lose one of his nine lives in trying to escape?